When it comes to Facebook, most businesses are either doing it wrong, or not doing it all. It’s not their fault… They don’t know what they don’t know! That’s why they will love these cool reports. Simply bring these into your local businesses, and watch to see the mad scramble just to talk to you about their business! 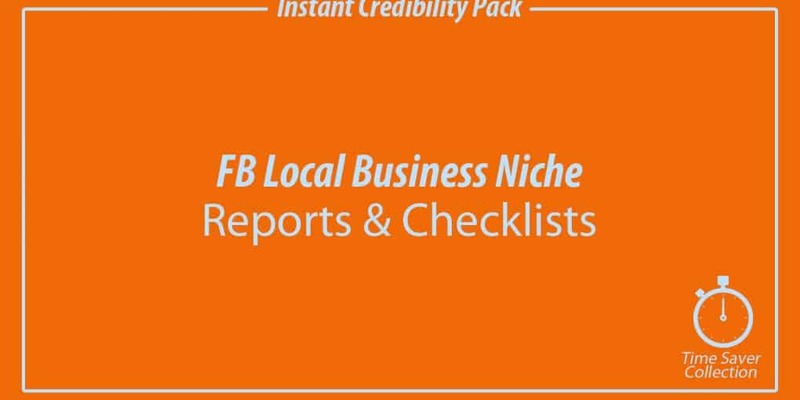 These Reports and Checklist products are simple, user friendly and pack a powerful bunch of valuable content that will position you as the go-to expert. They are for specific marketing services make awesome lead magnets, printed leave behinds and other cool stuff that instantly builds your credibility, plus you can easily repurpose the content for use in your blog, email autoresponder, talking head videos and more.